Glad to announce a 1 Day Seminar on – Indian Elections – Do they Matter or Not ? – Mumbai Seminar on 21st April 2019. 3pm – 3.30 pm – Q&A & Tea Break. 3.30 pm – 4.30 pm– How to pick trending sectors on Technical Analysis and What are the Interesting Sectors in Focus for the Medium Term ? 4.30 pm –5.30 pm – 20 mins stock Idea Pitch – 3 ideas . 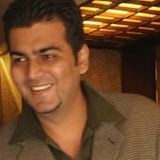 Speakers – Nooresh Merani & Harsh Doshi and .. The agenda is tentative and we may make some changes in the line-up or new presentations. Although this is a seminar we plan to keep it interactive and informal. The seminar is open to all participants who would like to know more about technical analysis,indian equities and our long term view on Indian markets. The registration fees is Rs 1770 ( 1500 + GST ) . We plan to do a similar session in Bangalore, Delhi and other cities.